Camouflage Patterns: Do They Fool Animals, or Impress Hunters? Camouflage Patterns: How Do They Look to Animals? First, camouflage patterns will do you no good if you’re moving. Although, you can get away with more movement wearing a HECS suit underneath. Animals pick up movement very easily, especially elk. They quickly process human movement as a risk and flee. trouble deciding what is living and what isn’t without seeing movement, smelling scent, confirming by EMF, or hearing some kind of evidence, like a human voice, unnatural sounds, etc. Sometimes you might get away with very slow, slight movements, but it’s best to play statue when you’re being stared at by an elk or deer. There are times when a hunter might get away with looking non-human while moving. One author claims to be able to “duck walk” bent over, as he moves slowly by elk and sometimes gets away with it. I actually drew an arrow and shot a cow elk once while she stood there and stared at me, but who knows why those rare moments happen. 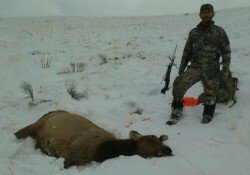 It is possible, even while donned in the “perfect” camouflage pattern, that two legs, a face, and an upright torso are all elk and deer need to put “HUMAN!” together in their brains and panic. 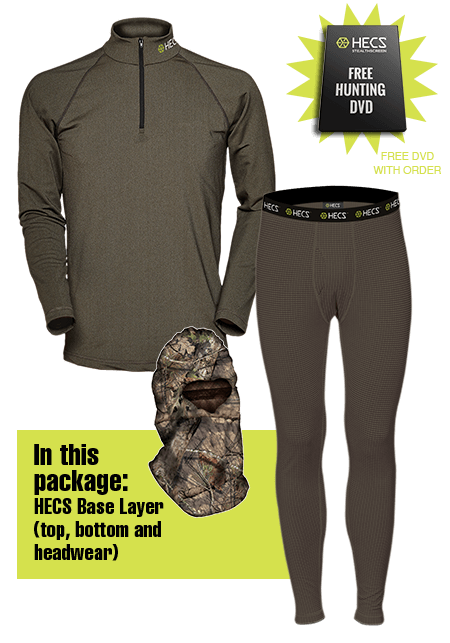 For another innovative product that severely hampers game animals' ability to sense your presence, check out our discussion of the HECS Stealthscreen suit. Camoflauge, camo, camouflage; How is that spelled, anyway? The third spelling is actually correct, but “camo” will do! Cervidae, the deer family including elk, do not see colors the same way we do. So it’s a mistake to look at camouflage patterns to determine how good it might look to us humans. The word “camouflage” means to use devices to blend into the environment in order to avoid being detected by predators or prey. 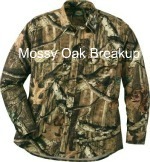 An important device is camouflage clothing, but scent control , silence (or elk sounds), background colors and stillness are vital camouflage devices, too. 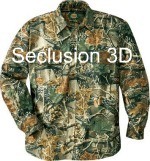 The names appeal to hunters around the nation: Seclusion3D, Mossy Oak Break Up, Shadowgrass, TreBark, TrueTimber, RealTree camouflage, etc. In most elk habitat we find ourselves hunting among evergreens, but Mossy Oak probably works just as well by simply breaking up the human form some. Do we need to buy camouflage clothing with pine tree needles or Douglas fir trunks splashed all over them? Whenever we walk through aspens do we need to change to camo clothing with some aspen-tree-trunk-white? How many animals do you see that look like trees and bushes? What color are most animals? They aren’t expected to stay next to trees all their lives, so they don’t look like pine or oak trees. Although I’ve seen a few bears that I thought were burned out stumps! Maybe we don’t need to look like trees either, in order to keep animals from “seeing” us. The ultimate goal of any camouflage pattern is to simply conceal the human form. 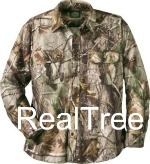 Hunters through the ages have been successful using simple earth color plaid or even buckskin colored shirts. The lines and earth tones are somewhat successful at blurring the shape of the human form. 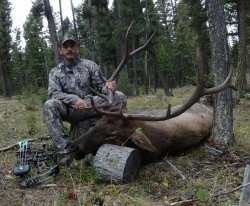 Many of us have successfully killed elk up close with archery equipment while donned in any of the camouflage patterns on the market today. You don’t have to spend a lot of money on hunting camouflage to avoid standing out as a human being when elk or deer look your way. Is There a Best Camo Pattern? In our opinion, there are two camouflage patterns that are made to more effectively fool animals in any environment, instead of impressing the human eye. Those are ASAT Camo and Sitka Gear Gore Optifade concealment patterns. I have used ASAT and Sitka Gear for many years, proving their effectiveness to myself. Especially, with HECS underneath to block the EMF released from muscle movement. ASAT camo patterns are designed to make the animal look right past you with a light background to distract them from your ominous human form. Sitka Gear Optifade was designed with help from an opthalmologist who understands how animals see. Neither are designed to look like a tree or other parts of the environment. The light background color of ASAT not only blends in with most natural backgrounds, they keep the animal from being able to put together into one unit, the dreaded human form they are actually looking at. 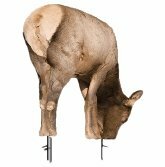 Sitka Gear Optifade Concealment is designed to confuse the visual perception of ungulates (animals with hooves) into seeing “nothing” in particular. You can read about some personal ASAT hunting stories here. 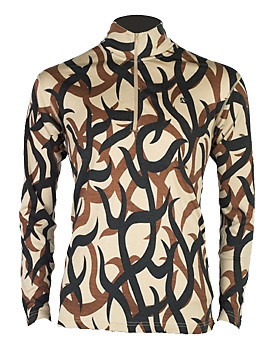 Perhaps I suddenly became a much better hunter (not), but I have been undetected by elk that were "looking at" me more often while wearing ASAT camouflage patterns than in previous years of wearing the tree design patterns. Same with Sitka Gear. The light background on ASAT is are designed to create an illusion of depth and other natural “busyness”. Hence, an animal has trouble telling where the human form begins and stops. 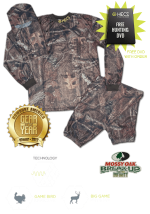 Sitka Gear patterns fool the animal into thinking they are seeing nothing in particular. 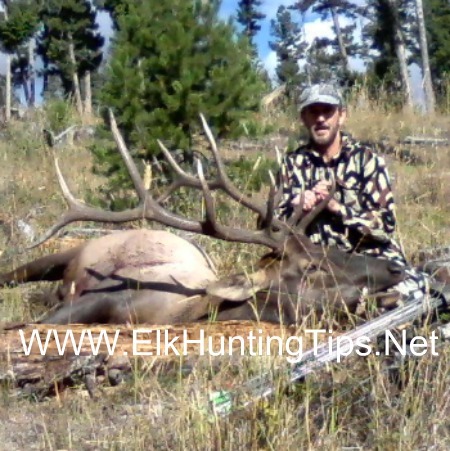 Use any camouflage pattern you want to, but avoid moving when elk are looking at you. Work the wind to keep it in your favor and avoid sounding like a human. 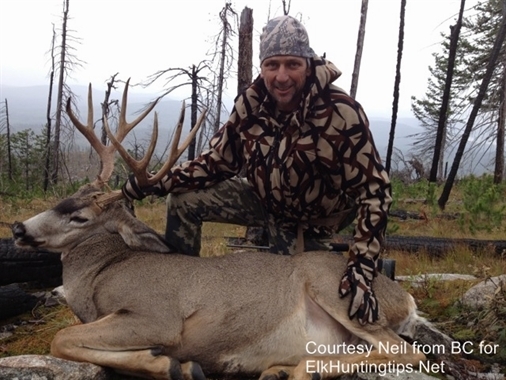 In fact, sometimes you might want to sound like an elk walking, especially if you’re making elk calls. 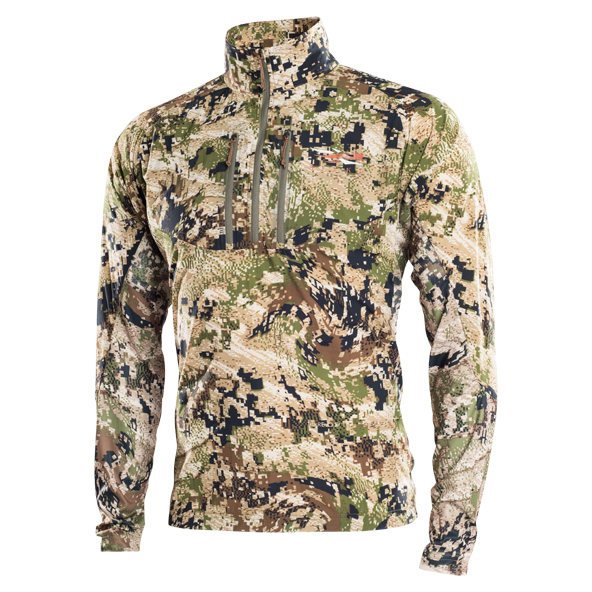 Consider the more science-oriented Sitka Gear, or the light background camo pattern of ASAT. Read my personal ASAT hunting experiences here. Sitka Gear page is here.